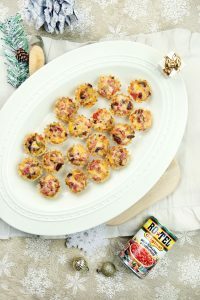 Today I’m sharing a recipe for Oozy & Cheesy Bacon Appetizer Cups with RO*TEL® Original Diced Tomatoes and Green Chilies (available at Walmart). 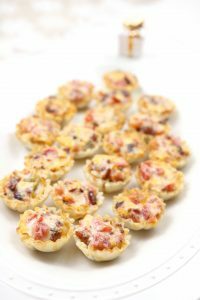 These are the perfect easy appetizer to set out and to entice your guests with this holiday season. 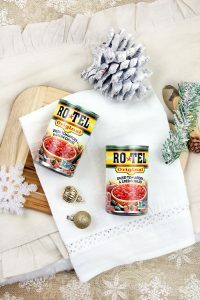 RO*TEL is known for delivering bold, adventurous flavor to any recipe. 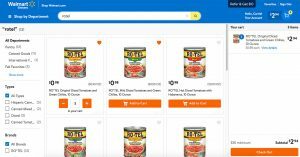 I’ve been addicted to the ease and convenience of Walmart’s Online Grocery Pickup, especially during the hectic holiday season. You can pick a time to pick up your groceries online and add items to your cart. 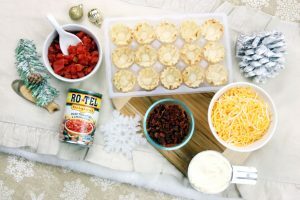 I added two cans of the RO*TEL® Original Diced Tomatoes and Green Chilies to my cart for this recipe. 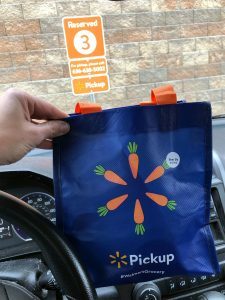 I always pick up my groceries in the morning after I drop off the kids at school and it is so easy! I don’t even need to get out of my car, which is great when it is raining or I have a sick kid in tow. I park in the designated spots and call to let them know I’ve arrived. They bring out my groceries and even load the car for me. These appetizers are so easy to whip up before guests arrive or they’re even great for a potluck. 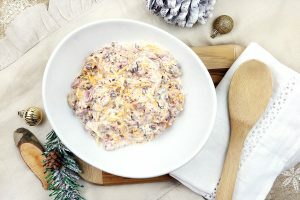 In a large bowl, mix together almost fully drained RO*TEL® Original Diced Tomatoes and Green Chilies, bacon bits, cheese and mayo until blended. Fill each shell to the top with the mixture. Bake in the oven at 350 °F for approximately 15-20 minutes. RO*TEL provides an easy way to add a little zest to any recipe. 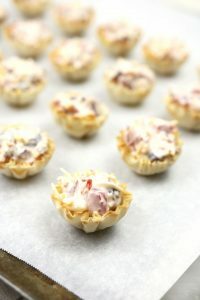 The combination of the RO*TEL, other mixed ingredients and the flaky crust of the fillo shell will have your guests asking you for this delicious recipe! 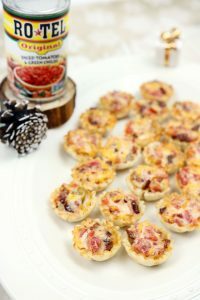 These Oozy & Cheesy Bacon RO*TEL Appetizer Cups will make you and your guests want to ‘Gather Around the Fire’ this holiday season. Find more RO*TEL Holiday Inspiration HERE.